Perhaps wishful thinking describes more the desire to capture the ethos of Oliver Husain in a single book. Nonetheless, this book attempts such an audacious project. Our guides, Emelie Chhangur, Ian White, and Chi-Hui Yang, take us on a meandering tour through the intricacies of Husain’s working method. Husain’s own extradiegetic intrusions, however, ensure we get lost on the way. 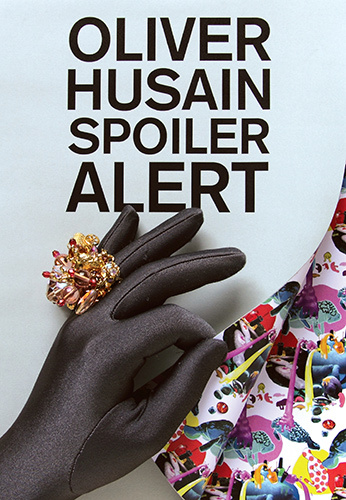 Spoiler Alert, the first book treatment of Oliver Husain, is published in conjunction with Hovering Proxies, his winter 2010 exhibition at the Art Gallery of York University. It is designed by Sameer Farooq of New Ink. PLEASE NOTE: The launch of this book is slated to coincide with a performance by Oliver Husain at Onsite [at] OCAD University on Saturday, the 14th of April from 4 to 6 PM. Be there, be aware. And buy the book.